Customer choice is crucial in our sceptical world. By offering customers choice with services, they come to know you. If they know you, they may come to like you. If they like you, they may learn to expect a similar level of quality from you everyday – they will then trust you. If they trust you, they may refer you on to others. If they refer you on, they might do business with you for the rest of their life. However, the Australian marketplace is becoming more crowded and competitive. You have multiple customers and stakeholders, with dizzying volumes of data available. 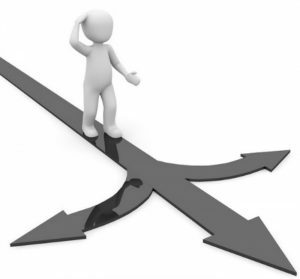 How do your team make the right decisions? Windows of opportunity open and close quickly. It’s easy to spend time wondering where to start. Edmonds Marketing’s General Manager, Damien Edmonds, is an experienced marketing speaker and group facilitator (eg. Australian Institute of Management, University of Westminster, London School of Marketing and Griffith University). Identify main customer segments AND their perceptions. Who is your main customer? Where do they live? What are their attitudes and opinions? Who do they see as your competition? It may be surprising. It’s important to be clear upfront, so you can retain these people and attract more of the same. Horizon scanning helps to identify threats and opportunities. Aligning the right marketing and communications objectives to your business ones helps to decrease risk and increase the marketing execution’s success. Identify how your brand is different – develop from there. What’s your bankable point of difference, according to this customer? How do they position your business in the market? How do values and internal culture drive staff behaviour for your customer? By identifying how customers see your brand, your marketing efforts can be developed for better results. Bottom line is, marketing is more than driving awareness through advertising. Once retained, how can customers be engaged throughout their journey? By applying the right strategy, you can drive the right growth. Consistent communications help to support relevant services. By using the right messaging at each and every customer touchpoint, your customer’s confidence will improve. This helps to make services more visible for customers, and increases their confidence in you. Identify the right marketing innovation. Ideas are the currency of the 21st century, so how can they be commercialised sooner? Are you looking for continuous improvement, or to completely transform your service? Perhaps you’re looking to get the team together for a creative brainstorm. What are customers expecting from your brand? Understand the right marketing technology for the job. Is your customer-relationship-management system working? What is the customer’s experience now? What is the ideal customer experience? What marketing automation is available for attracting and retaining – for staff and customers? Improve staff engagement for proactive service-delivery. What’s your recognition culture look like? Motivate your staff for servicing their customers well. It also helps to engage staff and retain them for longer. Metrics allow milestones to be set along your customer’s journey. Above all, if you regularly review your marketing and communications objectives against your results, you have a better chance to drive sustainable business growth. Focused on helping internal teams to develop consensus from within. Tailored to your business – they are held at your office and will encourage new thinking around modern customer demands. 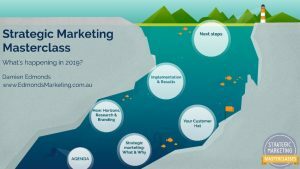 To discuss marketing workshops, please email damien@edmondsmarketing.com.au or call 07 3175 9905. See also strategic marketing masterclasses, designed to increase leaders’ and boards’ understanding of strategic marketing and sustainable customer-management.